This company is a spin off Farmers Insurance Exchange Group according to a Farmers New World Health Insurance Company review. This location near Seattle is in Mercer Island, Washington. It was started in 1910 as New World Life Insurance Company. Newly appointed CEO, Jerry Carnahan, who is the former Executive Vice President of Farmers, heads it. To get health insurance quotes to compare with other major carriers simply enter your zip code here to get started. Farmers New World Life Insurance Company offers such products as term, whole and variable life policies, as well as annuities including IRA’s. They also offer disability coverage and accident plans. Health insurance plans for farmers that include medical; vision and dental are also available to employees. This company’s Financial Services agents will assist you with planning your retirement and other financial goals in which you may interested. Mutual funds, and annuities are invested in the market and returns are distributed among Farmers investors. If your objective is to save for your child college education, or vacation your Farmers agent will assist you with that as well. Farmers New World Life is part of Zurich Financial Services, a Switzerland parent company. This company is licensed in 41 states in the US, and present in other countries around the world. New World Insurance Company joined Farmers Insurance Group in 1953. This is the only company solely owned by Farmers Group, Inc. The rest of the companies are only managed by Farmers Group, Inc dba Farmers Underwriters Association. 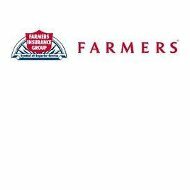 The Farmers Group is the holding company and work in conjunction with three exchange companies Farmers, Fire, and Truck Insurance Exchange companies. The company health plans include accident injury and sickness. These plans are offered exclusively for farmers and employees. There are some health related plans available to the public, but the policies were initially intended to provide coverage to farmers. Farmers also provide coverage for their employees. There are various medical plans for employees to choose. As an employee, you can choose to include other benefits to your policy such as vision and dental. Disability and long-term health care is also part of your benefit package. Farmer’s disability plan is for farmers and company employees as well as the public. This type of plan is available in the event you cannot work. Your payment, should you be forced to apply, is based on your contribution and/or salary. Disability claims are intended for employees who will be out of work for more than six months to a year in most cases. Farmers and public policyholders who opt for disability coverage will receive payments if, for reasons of sickness or injury, is not being able to work. A Farmers representative is assigned to assist claimants throughout the process. Long-term care is intended for public policyholders, employees, or farmers who are in a state of incapacitation or dealing with a long-term hospital stay. This is for cancer care or hospice care in an eligible facility. There is some exception for at-home-care patients. Your Farmers representative will go over the terms of long-term care with you, your family or appointed medical power of attorney. Aspiring Farmers New World Insurance Company applicants have quite a few opportunities in this life insurance and securities location. Since this Washington, location specializes in life insurance and financial services, candidates should specialize in related areas of investments. Financial planners, agents, and administrators assist potential policyholders with planning their future, and the inevitable. Farmers have a track record of complaints and lawsuits levied against them. They were even accused of unfair practices by other businesses. The company was also accused of overcharging policyholders for business coverage. This case went to court and the company ended up having to reimburse the business owners that were overcharged. Other lawsuits included a 2003 case against the company for a water leak that was neglected and resulted in black mold in a policyholder’s home. Another was a case filed by the company’s claims adjusters for overtime, whereas Farmers settled for $200 million. The company experienced the worst year for complaints in 2006. Farmers is also making positive headlines with the February 2011 agreement to build a stadium in downtown L.A. California. Since the city does not have one, Farmers has offered to sponsor the project. Despite its corporate problems, the company maintains an “A” (Excellent) with A.M. Best and AA- with Standard and Poor’s. To get online health insurance rates enter your zip code here and you will receive comparison rates from major carriers in minutes.